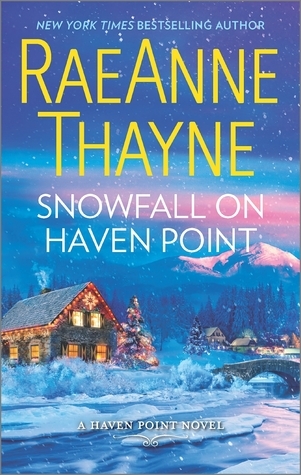 Another sweet story out of Haven Point! Andrea Montgomery has been through a lot in the 2 years since she lost her husband in the line of duty. She relocated to Haven Point, and is trying to get things to settle down after the drama she went through last summer. She just wants her kids first Christmas in this town to be special! Sheriff Marshall Bailey isn’t the warm and fuzzy type on a good day, and now that he’s out of commission from being injured in a hit and run, he’s as cranky as a bear. Andie will do just about anything for her friend Wynona … even go check in on her brother, the man that she’s nervous to be around! Marsh doesn’t like needing anybody, and he tries to run off the neighborly do gooder with bad behavior, but she’s not falling for it. And when her young children start to worm their way under his defenses too, he knows he’s in trouble! When a freak snow storm has the little family needing a place to stay for Christmas, Marsh finds himself looking forward to the holiday more than he should!